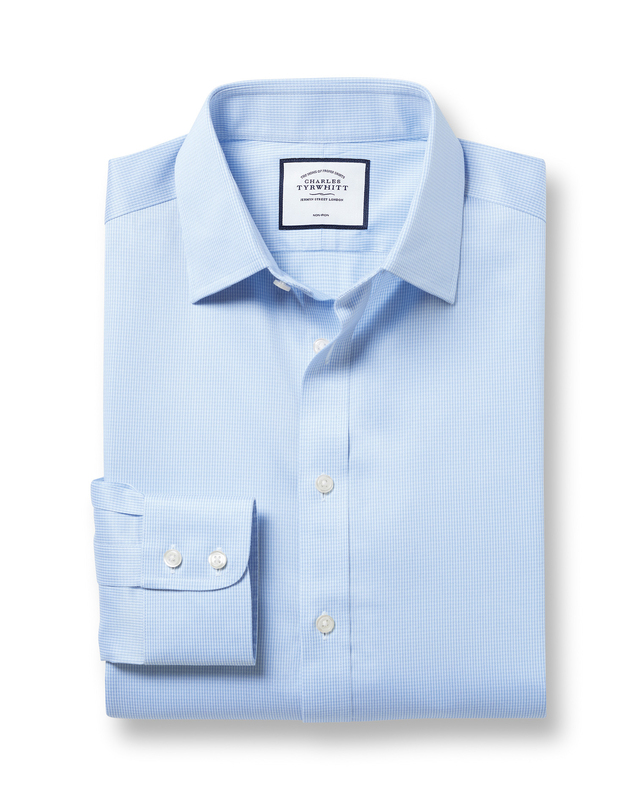 Response from Charles Tyrwhitt: I am disappointed to hear that your Classic fit non-iron sky blue puppytooth shirt does not appear to have the characteristics of what we would consider a non-iron shirt to hold. This is most disappointing to hear so please accept my genuine apologies. We would be happy to organise for a replacement shirt to be sent to you. Please do indicate if you are happy for a new shirt to be sent to you and we will, of course, provide relevant details on how to return this somewhat defective shirt for inspection. Beautiful fabric. Well made shirt. Excellent quality. I generally find it still requires a light iron before wear. Lovely material, good quality & washes well.